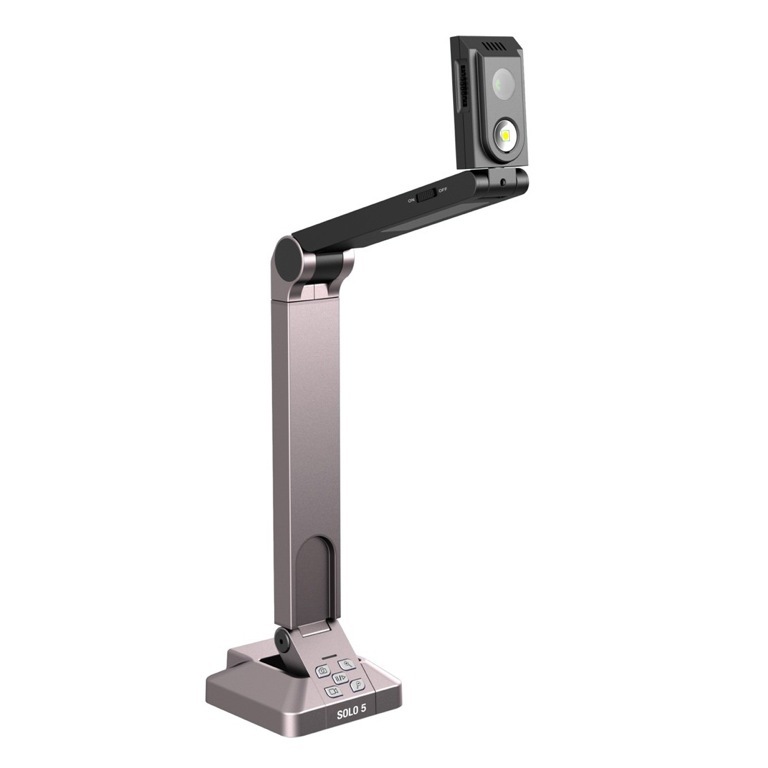 Solo 5x is a desktop scanner-camera and multifunctional document camera for business. It includes software for scanning business cards and managing contacts. It can also be used to web conference, record videos and to present. 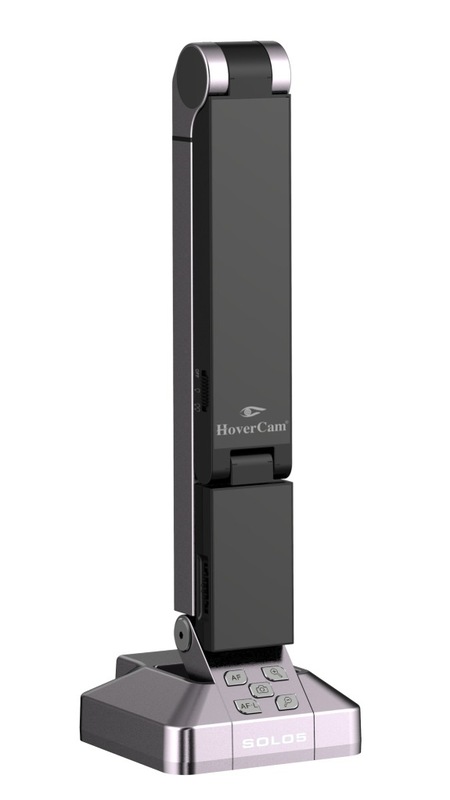 Will immediately become your handiest office assistant: document scanning, web conferencing, business card recognition. Compatible with PC & Mac computers and works seamlessly with YouTube, Facebook, Twitter, Google+, Dropbox, Evernote, Skype, WebEx, and Go to Meeting. All software included...it's a high tech office that fits in your pocket! 5 MP resolution (2592 x 1944) sensor....Capture and display clear images, so students at the back of the room can see small type on a full page document. 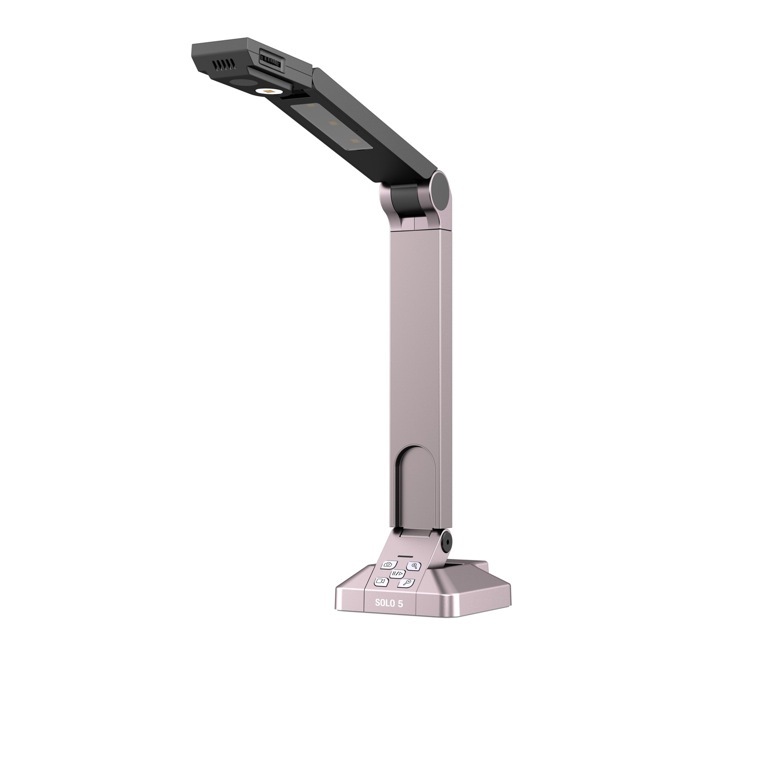 With such high resolution, Solo 5 may also be used as a scanner to scan articles and student papers. Auto Focus makes it easier for teachers to set up and use. This product is covered by a 1 year parts and labor warranty provided by the manufactuer. Normal wear and tear as well as customer abuse are not covered by this warranty. Contact the manufacturer in the event of a warranty claim.